The silver round's obverse design features a Pegasus, a flying horse often depicted in Greek and Roman mythology. Through flight the Pegasus symbolizes the ability of one to transcend the weight of earthly burdens and rise above them. The Pegasus is a symbol of knowledge, inspiration, and justice. 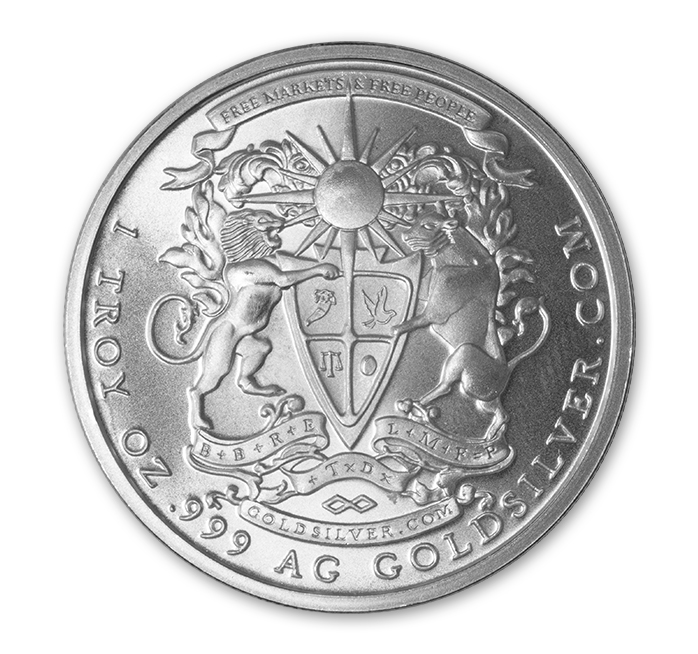 The silver round's reverse design features the inscription "Free Markets & Free People". The Bull & Lion pay homage to mankind's first ever money coined in Lydia, in approximately 680 B.C. The Silver Pegasus Round is the easiest way to own a beautiful fine silver bullion product as close to the silver spot price as possible. 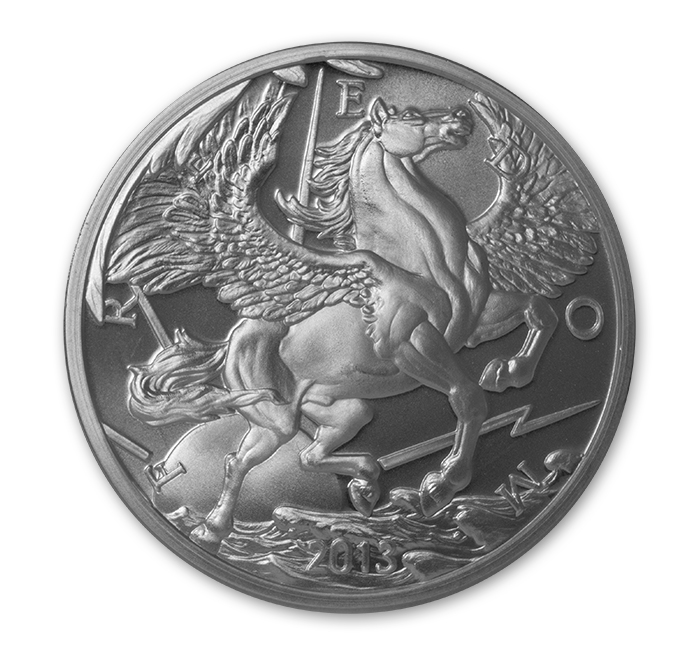 Unlike government issued silver coins, the Silver Pegasus Round does not have high seigniorage costs. These exclusive silver rounds have the benefit of being struck into small 1 ounce increments making them extremely liquid and less susceptible to counterfeit than large commercial silver bars. The GoldSilver.com Silver Pegasus Round has its one ounce weight and fine .999 AG ( silver ) content stamped on it in English. This silver round is an excellent silver investment protecting your wealth against currency crisis, devaluations, and or potential bank bail-ins.